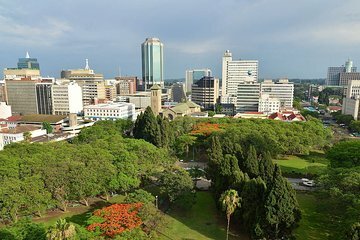 If you just have a short amount of time in Harare, this tour is an excellent option for making the most of it. A guide takes you to the city’s top natural and cultural attractions such as Cathedral of the Sacred Heart and a wildlife refuge, in addition to a Harare township for an immersive cultural experience. Plus, going with a tour means you don’t have to worry about figuring out transportation, timing, or entrance fees—it’s all included. The tour was very executed very well and I fully appreciate my guide being flexible enough to do the full day city tour which is the normal itinerary even though there was some miscommunication between him and his boss who told him that it was only a 3 hour city tour. However, everything ran smoothly aside from this and Harare is truly a fantastic city to visit. Highly recommend!